Nothing says Christmas more than the bright and colorful whimsical Christmas decorations dressing the shops and stores of our towns as well as our very homes. Some department stores spend thousands of dollars each year just to best their competitors when it comes to holiday decorating, with breathtaking results. Thankfully, breaking the bank is something you don’t have to do when shopping for the perfect Christmas décor. Personalized gifts always make the top ten lists of favorite holiday gifts to receive. Beautifully personalized embroidered stockings are a treasured present that lasts throughout the years with annual good tidings and cheer. There is truly no way Santa could possibly miss where to put such coveted goodies adorning the fireplace as each stocking is beautifully constructed with large embroidered names of your loved ones in such large stockings. 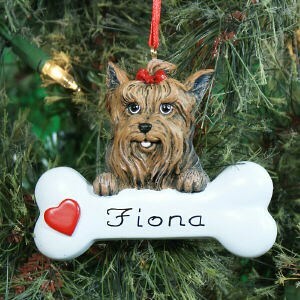 With 60% of households in the United States owning pets and who are considered part of the family, remember them with their own personalized ornament! The family-friendly, fun-loving Labrador retriever continues its reign as America’s top dog, but it finds a floppy-earned, vertically challenged canine nipping at its paws. Despite the fact that most common household pets are either a German Sheppard or Labrador retriever, the list also includes the Beagle, as well as the beloved Yorkshire Terrier. 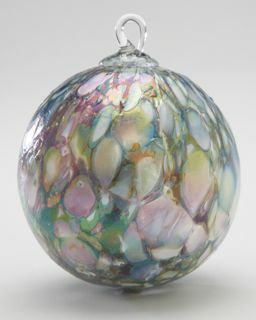 For the art lover on your holiday list, a very special exquisite piece of art that could easily decorate any tree is the unique hand-blown ornament made out of the ash of the 1980’s eruption of Mt. St. Helens. Very much a beautiful addition to any Christmas tree and breathtaking when illuminated by the colorful holiday Christmas lights. A solid brass display stand can also be purchased to display this beautiful hand blown glass work of art throughout the entire year. For outdoor decorations, Lawn Lights have come to the forefront in creating a unique and memorable scene for one’s yard. These LED lights are carefully placed throughout one’s yard prior to snowfall. Once the snow falls, the lights are illuminated creating a wonderful ambiance of lighted snow. This easy and fun different kind of Christmas decoration is easy to install and maintain. Decorating for the holidays is one of the most celebrated activities of the year. Make this year a personalized memory that truly capitalizes upon the most wonderful time of the year.